Our job is to install and maintain it. Your Job? To Enjoy It! Leave it to our certified experts to safely and affordably install the perfect stove or fireplace for your family. We’ll also take care of any maintenance issues — like chimney sweeping — and be at your beck and call should any repairs unexpectedly pop up. Whether you’re looking for an alternative heat source or a centerpiece for your family room, we’ll work with you to find and professionally install the perfect stove or fireplace for your family. Every job is different so we’ll take the time to visit your home, assess your needs and come back with a quote — to the dollar — for what it will take to get the job done, start to finish. 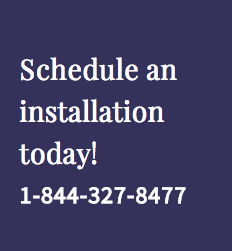 Most stove and fireplace installations can be completed in a single day. We pride ourselves on not only getting it done fast, but leaving your home looking like no major construction took place. The only way you’ll know we were there will be by seeing the new appliance we installed! Venting materials, roof flashings, chimney caps plus the appliance. Every job is a little different but in the end, we do a complete installation so no matter what we installed, it’ll be ready to use. Don’t get stuck heatless once the temperature drops! Proper stove and fireplace maintenance will keep them in prime working condition. 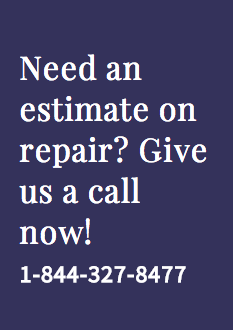 Talk to us about our maintenance services. Aside from our highly trained and certified staff, we can offer you financing through Sychrony Bank to get your installation completed. 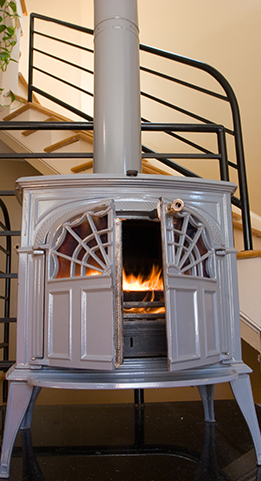 Our technicians perform complete fireplace and wood stove cleaning, can check pilot lights, gas valves, and gas pressure, clean the blowers and glass and inspect venting and caps to be sure they’re free from obstructions. Basically, we clean and service anything we sell. If we sold you the appliance or it’s a brand that we carry, it will be warrantied through us. We stock a multitude of products and parts for the products that we sell so we’re able to offer quick fireplace, stove, and chimney repairs should a breakdown occur. 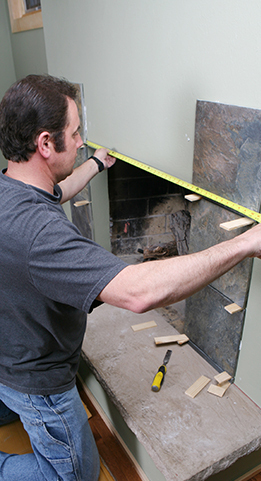 Our trained, certified staff has years of experience repairing fireplaces and wood stoves. It’s something we do multiple times, every day. 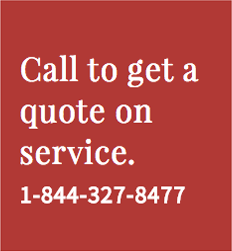 We’re clean, quick and have the years of experience and training to get the job done right. NFPA 211 requires that chimneys and vents be inspected (not necessarily cleaned) at least once a year. We charge based on distance to your location and a labor rate of $60 per hour. 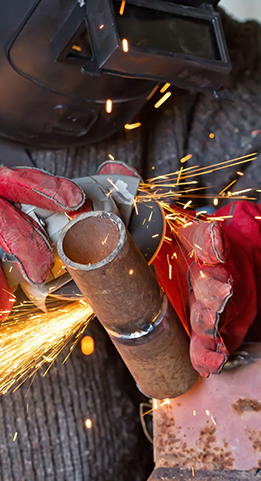 Depending on the issue, we may be able to fabricate metal work for an existing chimney vent. If it’s safety listed by UL, then no, refab isn’t possible but an unlisted product may be. We will repair or replace parts based on the manufacturer’s warranty policy. Anything we sell is covered by warranty.